I can't download InnaPeace audio files to my iPad / iPhone / Android? NEW APP for iPhone. iPad, iPod, all Android devices and all Windows devices has been launched. Simply use the links below to download the new APP for your chosen device and experience the power of InnaPeace on your mobile device. The above APPs should now make the issues mentioned below obsolete. Enjoy! Do you see the following error screen on your iPhone or iPad when trying to download InnaPeace audio files? Apple do not allow devices such as iPhone and iPad to download any audio files directly from the internet. The good news is you can still enjoy your InnaPeace MP3 files on to your Apple device by following the instructions provided here. 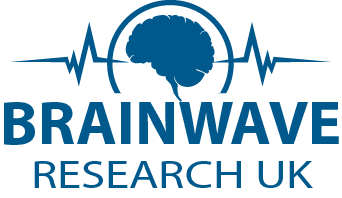 Login to the Brainwave Research Institute website from your PC or MAC computer and download your MP3 files directly to your computer (not through your iPhone or IPad). Add your InnaPeace audio files to your iTunes library on your computer. Plug your Apple device in to your computer and SYNC your iTunes library with your mobile device. The below APPs should now make the issues mentioned above obsolete. Enjoy! computer for listening...especially at night when I'd be using this program. I live on a Boat and only have access to my ipad, ?. We have many clients using InnaPeace on iPads and iPhones, myself included. We have simple solutions that involve downloading a FREE APP on your Apple device to overcome this. Simply email customer support and we will help you step-by-step. Apple do have some limitations on downloading files directly from the internet but this does not have to stop you from having your InnaPeace audios on your Apple device. Send us an email and we will recommend the best and simplest solution for your device. I have a android and it wont let me download either, keeps stating that theirs in error. Please advise how i can download on an andriod phone. Please email customer support and we will advise you what is best for your unique situations. I am not able to download on Android. We have a few solution for Android. Please email customer support and we will advise you what is best for your unique situation. can not down load any of the meditations. this is very fustrating. I can not believe this is so hard to do. Please contact our support team via email and they will be happy to walk you through everything. Many different devices need different methods for download. The support team know most if not all and will be able to assist you. Perhaps you have a corrupt file, it has happened before. We recommend downloading the file again from our website and seeing how you go. The file can sometimes become corrupt during downloading. Please send an email to customer support if you need further assistance. something about this might need to be addressed up front as a potential issue for many people, like in a flashing message on your homepage, lol. i finally used a good search term: "can i save the programs?" and it brought up this thread. i have a support ticket in. because, to HAVE to stream the programs each and every time they are listened to is definitely a deal-breaker, or can be, as it chews through too much data. I have down loaded on my tablet. Downloads will not open. Just signed up today and would like to start right away!